We don't send a van to your door. A TV detector van sits menacingly in its garage, ready to pounce. Despite having spent most of my professional life working in public broadcasting, the pledge drive still seems like an odd way of making ends meet. First, we spend a lot of money to acquire programs. (Nearly $1.5 million this year for both WILL-TV and Radio, and none of that includes salaries or operational costs.) We broadcast those programs into your homes. And then, after the fact, we politely ask you to help pay for them. I like to think of public broadcasting as the early incarnation of crowdsourcing websites such as Kickstarter. However, even Kickstarter has the good sense to request the money up front. It shouldn’t work, and yet it does. A quarter-century after I arrived at WILL-TV, the generosity of our viewers and listeners continues to astound me. 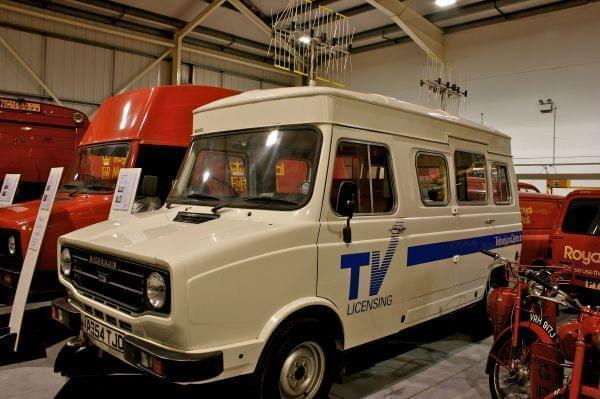 Of course, most people would prefer not to pay taxes, and so it was that the BBC created the dreaded “TV detector vans,” vehicles which prowled the streets, allegedly using their roof-mounted antennas to determine whether someone might be illegally viewing Strictly Come Dancing. In researching this article, I learned that the sinister vans may in fact be fiction, an act of theater devised to frighten the money out of the guilty. They were spoofed in a 2000 episode of The Simpsons, when the oafish Homer makes a phony $10,000 pledge to his local station, only to be informed (by Betty White) that the PBS “Pledge Enforcement Van” would be arriving at his house in moments. He was pursued into an alleyway by a mob of angry Muppets and Teletubbies. Of course, the PBS Pledge Enforcement Van is even more of a fiction than its British counterpart. No one—not even Oscar the Grouch—is coming by your house to demand payment. This year, as every year, we simply ask. And you respond. To my ongoing surprise, the system still works.